It’s entitled Leon R. Koziol v Attorney Grievance Committee of the Third Judicial Department, and it was docketed by the Supreme Court today under Case No. 17-993. Unlike prior filings, this one recognizes my appeal from the high court of New York as a challenge to a “discretionary” decision. It could mean nothing, it could be everything because I am asking our nation’s highest court to review a non-final process of law license reinstatement which does not satisfy the finality requirement for Supreme Court jurisdiction. Hence such petitions are routinely rejected. However that rule is set aside in cases where a continuation in the lower courts would be a gesture in futility, for example a recurring process due to the bad faith of decision makers or harassment for the exercise of constitutional rights. Mine is precisely such a case, and the high court may have docketed it for the reason that I have been harassed with endless, non-final reinstatement processes for too many years as punishment for my public exposure of court corruption and promotion of shared parenting laws. In my petition for writ filed for consideration last week (January 9, 2018), I cited the case of In re Snyder, 472 US 634 (1985) where the Supreme Court granted writ to invalidate a six month law license suspension of an attorney who refused to apologize for his criticisms of a fee accountability process. My case carries far greater public import. Indeed if my third of three requests is granted, lawyers across the country would be impacted by open public disciplinary proceedings which would then benefit all clients in terms of genuine accountability. In 2015, the Supreme Court did exactly that for all attorneys licensed to practice in its own court, and it may now be poised to do this for all courts nationwide. What a benefit this could bring to media, justice and reasonable attorney fees. From a personal perspective, what a sweet pay-back it would be for all those lawyers (and lawyers on the bench) who persecuted me for over ten years due to my conscientious stand against my profession. What a sense of justice it could bring for all the moms, dads and innocent children abused in our nation’s divorce and family courts. Lawyers all across our nation are regularly called upon by the People to challenge abuses of government power. Fearless advocacy is not only a hallmark of the legal profession, it is critical to the maintenance of a free society. But what happens if an unrestrained body of government is able to invidiously suppress such advocacy when the critical argument is directed against it? Do our rights continue to have substance in communities large and small? Do all people benefit the same from safeguards that our military and civilian personnel strive each day to preserve? Is not the whole of a profession called to task? This case seeks to answer such questions. Throughout our history as leaders of the free world, American lawyers have risked their livelihoods in the quest to assure that our most precious rights are not systematically eroded. Without the unique liberties exercised by our “architects of justice”, it is likely that “separate but equal” doctrine would still be alive and well in our public schools and transportation systems. Countless innocent people might be imprisoned each day out of a lawyer’s fear of state disciplinary retributions. A civil rights attorney in upstate New York is now asking this Court to review a disciplinary process which harmed his livelihood and parent-child relations simply because he represented minority groups and boldly championed unpopular causes. His ordeal has been compared to that of Nobel Prize candidate Gao Zhisheng, the Chinese lawyer stripped of his law license and denied contact with his children due to his representation of minority groups and criticisms of a communist government. The cause in this case is not garden variety, parental equality remains the final frontier of civil rights reform in America. Literally, an innocent man was convicted of fabricated misconduct for endeavoring to bring equal rights to a courtroom where children are exploited for money and fathers are being extinguished from the family equation. This conclusion is easily demonstrated below by the proximate exercise of rights and adverse state action. Without the necessary protection for our protectors, any lawyer can fall victim simply by excelling in his or her work at the wrong place and the wrong time. If you have something genuine to contribute (not war stories, keyboard pontifications or requests for free advice), call me at my office at (315) 380-3420 or personally at (315) 796-4000. You can also make a donation here, purchase my newly released book entitled Satan’s Docket, or obtain other professional services which I offer at http://www.parentingrightsinstitute.com. Dr. Leon Koziol visits Abraham Lincoln, champion of equality, following his filing of a writ for parental equality before the United States Supreme Court in Washington D.C. He was joined on the courthouse steps on the eve of Fathers Day for a news conference by three other victimized professionals: Dr. Mario Jimenez, a doctor in Florida; Dr.Daniel Pestana, a dentist in California and John Bautista, an engineer from Virginia. Once again you just can’t make this stuff up at Leon Koziol.com. Yes you read that headline correctly. After spending three full years abusing judicial office in retaliation for Leon’s public exposure of Judge King’s incompetence, the abuser simply walked away from the mess he made. That brings the total trial level judges on Leon’s case to 38 after a support magistrate in Syracuse stepped down only days earlier. By all indications this is a judicial record in America. Judge Daniel King seemed perfectly content to continue his sadistic campaign but a state Supreme Court order was finally issued requiring him to appear on a mandamus filed against him to remove his protection (gag) order and Judge King himself from Leon’s family matters. Now that both have been accomplished, the rally and Supreme Court arguments for June 22nd have been cancelled. Dr. Leon Koziol has been shuttling between Supreme Courts these days in his quest for justice and equality in our nation’s divorce and family courts. On Friday he joined three other professionals, victims of a dysfunctional family court system to file a writ for parental equality and due process on the steps of the United States Supreme Court. Stay tuned for exciting developments in our nation’s capital. Both the New York and United States Supreme Court cases originated as Koziol v King. The title happened to be appropriate for historical reasons since the equity powers abused in family court derived from the feudal power of the King of England carried over to the states through common law. But with the King gone from one case, the new title will have to be Koziol v ? Yes it’s gotten that crazy. None of this means that the rally scheduled for June 22nd was in vain. But with public arguments once again directed underground, there was no event to attend and rally around. Although Leon managed to spend Fathers Day with his girls for the first time in three years (deprived only during King’s tenure), the father replacement agenda continues. That is why the rally organizer from New York City has shifted plans to an upcoming march from the Oneida County Courthouse in Utica to Flihan’s restaurant equipment sales on Broad Street. The theme: Leon’s daughters are not for sale. Don’t go away any time soon! If we don’t rally around someone, we’ll accomplish nothing in our individual foxholes. Dr Leon Koziol with former New York Governor David Patterson in Manhattan this week. Leon is seeking his support for family law reform and provided him with a copy of Leon’s recently published report entitled Custody Court Dysfunction: A Nationwide Epidemic. Dr. Leon Koziol will be arguing a case against father discrimination, court corruption and parental alienation on June 22, 2016 at the Oneida County Courthouse in Utica, New York. On May 3, 2016, a state Supreme Court Justice signed an order directing family judge Daniel King to answer a mandamus action regarding a gag order issued on this blog site, Leon Koziol.com. One day later, that same Judge Daniel King canceled a trial on the gag order he issued in November, 2015, the day before the next business day when it was set to begin. That trial had already been adjourned without explanation in early April leaving Leon and the administrators of this site under a condition of arrest by ambush for six months given the vague terms of King’s gag order (disguised as a protection order). Obviously Judge King, new to the bench, was abusing judicial office to punish Leon’s public criticisms of his incompetence and 2013 testimony before the Moreland Commission on Public Corruption. Leon reported King’s misconduct and widespread corruption in New York’s family courts, i.e. Leon’s custody judge (Bryan Hedges) removed from the bench for admitting to sexual misconduct upon his handicapped five year old niece. Leon sought recourse before the Commission for college degrees fabricated by King and a support magistrate to elevate Leon’s support obligations for punitive incarceration purposes. Only yesterday a support magistrate stepped down from Leon’s case bringing the total trial level jurists to 37. Yes folks this reads like a John Grisham novel. But unfortunately it’s a true story. Meanwhile in the same court, convicted criminals and drug abusing moms are getting unsupervised custody of their children. You might think with the gag order set aside that Leon has already won his case set for June 22nd, the Wednesday after Fathers’ Day at 1:30 pm. But the wrongfully issued gag order which includes bizarre prohibitions against strangulation and larceny constituted pure harassment by a family judge exploiting innocent children to suppress Leon’s reform efforts. That’s why arguments are going forward even after defense counsel got an adjournment from the original date of June 10th. Readers of this site will assuredly move on to some other diversion without making any effort to come to these arguments for moral support. That’s why you are being victimized with impunity in your own cases, because you have allowed them to treat such cases as a trouble-free and Constitution-abusing zone. Fortunately there are dedicated Americans like Jim Ginther of Staten Island, New York City who has offered to organize a freedom train out of Penn Station to rally at the courthouse in Utica. Call us at Parenting Rights Institute, (315) 380-3420 to do your part for America’s children and families. It may sound strange to read that headline: An American in Manhattan. Clearly a contradiction in terms because Manhattan is in America, but in this post, it has a far greater meaning. With all the government monitoring and controls being imposed upon Americans today, we are looking more like a foreign country every day. From NSA spying for non-defense purposes to IRS targeting of conservative groups to the abrupt dissolution of the Moreland Commission on Public Corruption, we are finding the people losing control and accountability over their own government. To be sure, we are at the core a self-governing nation. But for that to be the case, free speech, open association and the filing of complaints must be allowed to occur without the kind retributions inflicted upon civil rights advocate Leon Koziol when he exposed public corruption in our family courts. So severe were the threats of contempt and orchestrated support incarceration that Leon was forced to seek protection from human rights agencies in Paris. Extraordinary relief is further justified by an overwhelming public interest in the proper functioning of our court systems and a limit upon escalating state infringements of our parenting liberties and family privacy. Family courts have routinely exceeded federal and state constitutional limits without accountability due to the same deference practices. Analyzed from a functioning standpoint, these courts are operating today as executive enforcement agencies in violation of separation of powers doctrine. At the same time, attorney codes are being legislated to censor all manner of speech with recourse limited to the same entity which legislated them. “The state must declare the child to be the most precious treasure of the people. As long as the government is perceived as working for the benefit of children, the people will happily endure almost any curtailment of liberty and almost any deprivation.” Adolph Hitler, Mein Kampf, Publ. Houghton Miflin, 1943, pg. 403. 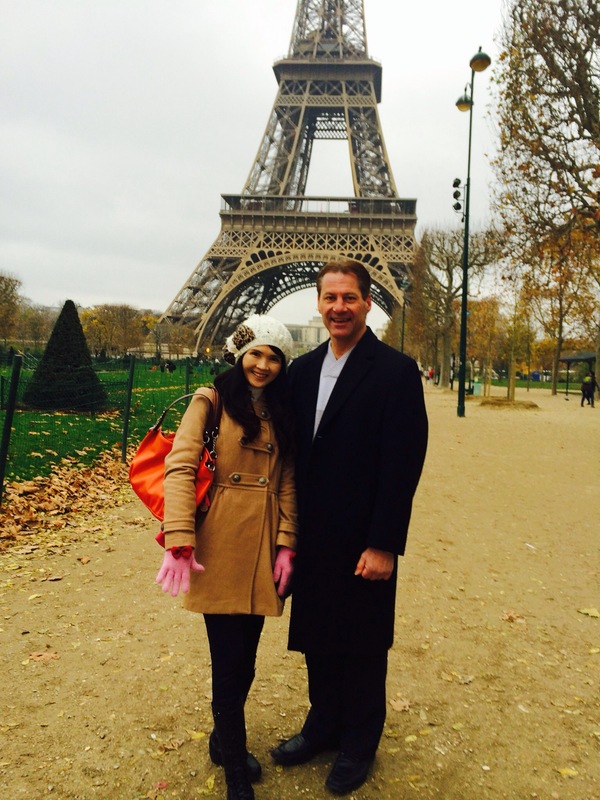 AN AMERICAN IN PARIS: WILL LEON KOZIOL EVER COME BACK HOME? It’s a question many of us have asked considering all the retributions inflicted upon civil rights advocate Leon Koziol for his defense of fathers and abused parents in America’s domestic relations courts. For the past two weeks, Leon has been seeking support from international human rights agencies in Paris behind our cause here in the states. This is our third in a series out of Europe informing followers of his progress. Nearby, in Denmark, Joe Sorge is supporting the same cause with the production of his next documentary film. In recent days we’ve seen accolades given to Edward Snowden for his whistle blowing activities regarding NSA spying on the American public for political and other non-defense reasons. Similarly Leon has been whistle blowing and seeking accountability for misconduct in our divorce and family courts which has harmed our children and families. For that he has been singled out and abused. Details are provided in a mandamus petition filed with a federal appeals court in Manhattan only hours before his flight to Paris. Leon may well be on the right track. The exploitation of parents, children and extended families by lawyers and state agents is in reality a human rights violation although the beneficiaries would not have you seeing it that way. Good moms and dads are routinely marginalized and even deprived of their child rearing rights every day in order to service a lucrative and ever expanding system that benefits from orchestrated controversy, fees, support interest and federal performance grants. It’s becoming an epidemic problem here in America. Family court operations are increasingly defined by the money they generate than they are about the children. So powerful is the money that Leon was targeted for his law license and children through orchestrated claims after nearly a quarter century of unblemished practice. Countless fathers are becoming alienated from their children and ultimately homeless through this ever abusing system of child control. No donations have emerged to assist us in this cause in many months. As a result Leon will have an important decision to make in Paris. We wish him the best whatever that decision may be. During his second week in Paris, Leon reports progress with his efforts to bring attention to abuses in America’s domestic relations courts. Today he is emphasizing our service men abroad who return to empty homes, alienated children and felony support warrants, see i.e. second class citizen.org: Purple Heart Soldier. After completing his first impromptu job interview with a world rights organization, Leon met with another French tabloid to share his mandamus petition and personal ordeal caused by state retributions for his long overdue reform efforts. He was even able to spend time with a fellow tourist he met during his office visits. The weather has turned cold and drizzly but it hasn’t dampened his spirits with all the colorful holiday lights and music along the shopping avenues and world class sites. As fate would have it , Divorce Corp producer Dr. Joseph Sorge was also in Europe doing interviews with fathers rights groups in Denmark. He is working on a second movie documentary and will try to do a piece on Leon’s efforts in Paris if an opportunity arises. 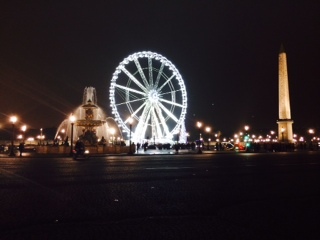 This is part two in our Paris series, and we need your financial support. Please assist our common cause by making a donation, purchasing a court program or sharing our reports with social and mainstream media. The mandamus petition is a must- read especially if you like John Grisham novels. United we stand! 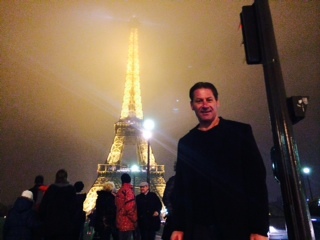 Parental advocate Leon Koziol has been in Paris this past week seeking protections for his reform efforts under United Nations treaties and protocols applicable to free speech and parenting rights. His ordeal is well known in New York courts but state retributions for his public criticisms, whistle blower activity and long overdue reform efforts peaked in recent months with threats of arrest from a Family Court judge and inquiries opened by a state lawyer panel in Albany. Leon has been distributing copies of an extraordinary mandamus petition prepared for a federal appeals court in Manhattan. It was filed hours before his flight to Europe after eight years of growing abuses that defy the American conscience.